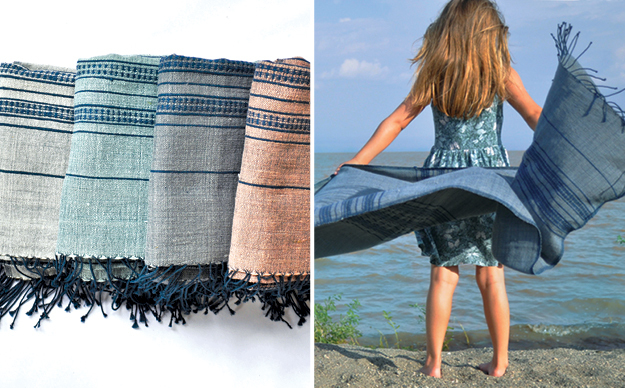 The dark blue warp and lighter weft in this new design creates a subtle color palette. All of our towels are entirely handmade of the finest Ethiopian cotton that becomes softer and more absorbent with every wash. 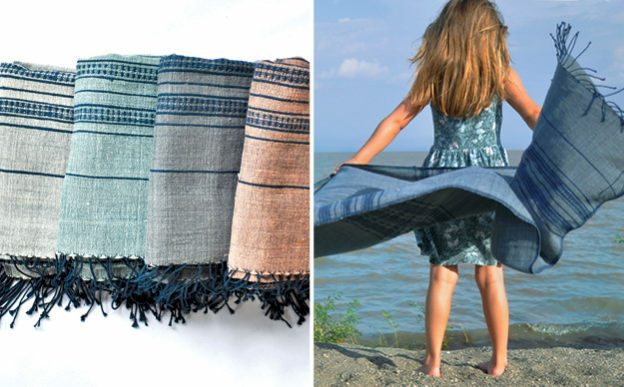 In addition to being the most wonderful towel you ever used in your home or on the beach, these amazing pieces are versatile and make beautiful throws, sarongs, shawls, table scarves, cabana covers, picnic blankets, tablecloths, and will become your, “Don’t-travel-without-it-item.” Pair with the generously sized, coordinating hand/kitchen towels. Machine wash cool and tumble dry low.